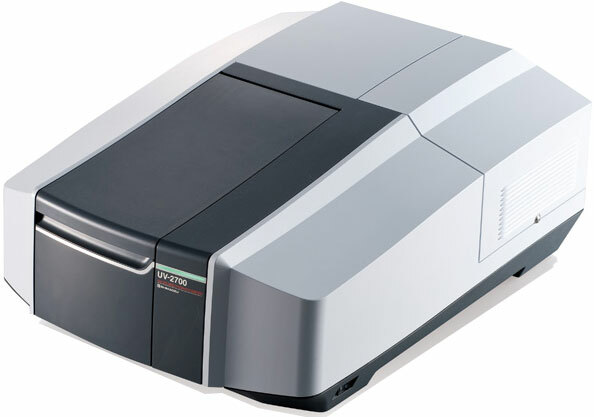 The compact UV-2600/2700 is a universal, research-grade spectrophotometer that can be used in a wide range of fields, and easily expanded to suit the measurement objective. 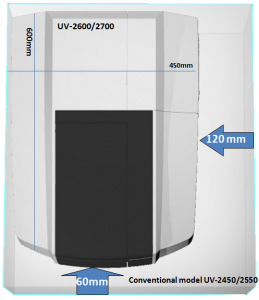 By using the optional integrating sphere(ISR-2600Plus), the measurement wavelength range of the UV-2600 can be extended to the near-infrared region of 1400 nm. 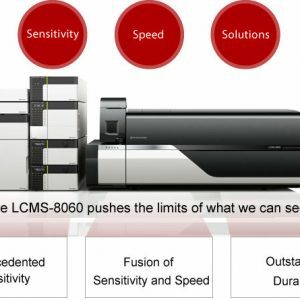 The UV-2700 is capable of 8-Abs measurements, and optimal for measuring low transmittance samples. 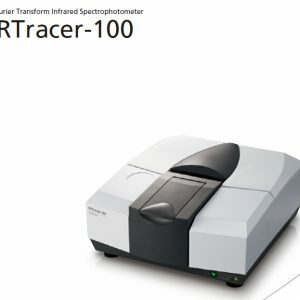 With the ability to make accurate transmittance measurements to 0.000001 %( 1 part in 100 million), the UV-2700 can be applied to evaluating the transmission characteristics of polarization films. 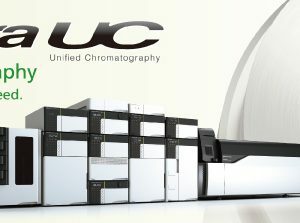 In addition, even high-concentration samples can be measured without diluting, contributing to a savings in power use. The figure shows the relationship between the absorbance and the concentration of an aqueous potassium permanganate solution.Good linearity is evident to 8 Abs. Validation software is provided as standard for both instruments, so equipment performance can be easily checked in daily inspections as Standard to Support GLP/GMP and when data accuracy becomes a concern. 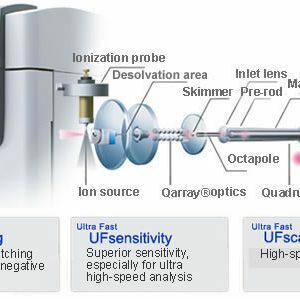 Also by using all-in-one UVProbe software package equipped with a multitude of functions to enable easy analysis from measurement to reporting. Additionally, functions for supporting GLP/GMP, such as security and audit trail functions, have been enhanced. The installation space required for this system has been reduced by about 28 % in comparison to conventional models*, thanks to a brand new compact design. In addition, the cooling fan is built into the side of the unit, so that it can be pushed back all the way to the wall. By placing in contact with the wall, limited bench space can be more effectively utilized. Furthermore, power consumption has been reduced to 170 VA, a 10 % energy savings that makes the system more environmentally friendly.